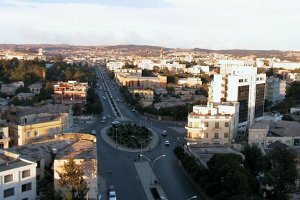 Summary: Panorama of Asmara. Submitted by from server http://www.world66.com/africa/eritrea/asmara/lib/gallery and its author is Dawit Rezenè. Licensing: This file was originally posted on World66.com under the below mentioned license and is hereby redistributed under the same conditions.